Monty had a fairly low key weekend with us last weekend. 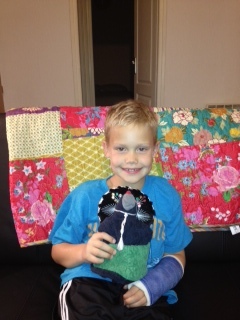 Ayden broke his arm on Friday so Friday night there was ice on the couch and Saturday Ayden went to the hospital. 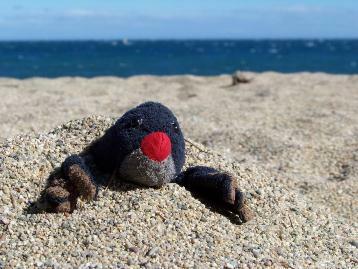 We decided not to bring Monty to the hospital so he didn’t get lost or sick. J Monty got to watch cartoons and movies with Ayden on the couch the rest of the weekend with the new cast. He also got to play Legos and Spinjas. It seemed like he really enjoyed Spinjas.